Work performed for a Senior Project, by a group of Electrical Engineering students, at New Mexico Tech. Richard “Chip” Scott, Ph.D. was Co-Advisor. The Doppler Radar for Biomedical Measurements Project is sponsored by BIOPAC Systems, a medical research equipment manufacturer. They requested that the Electrical Engineering design team modify a preexisting radar prototype to extract a subject’s respiration and heart rate from a distance without making contact with the patient. After discussion with the customer, Senior Design Team 4 decided to focus on developing the prototype towards apnea studies. The system consists of a two-antenna continuous wave radar array that receives raw data and transfers it to a signal processing system that consists of adaptive bandpass filters that extract the heart rate and respiration signals from the reflected data signal. 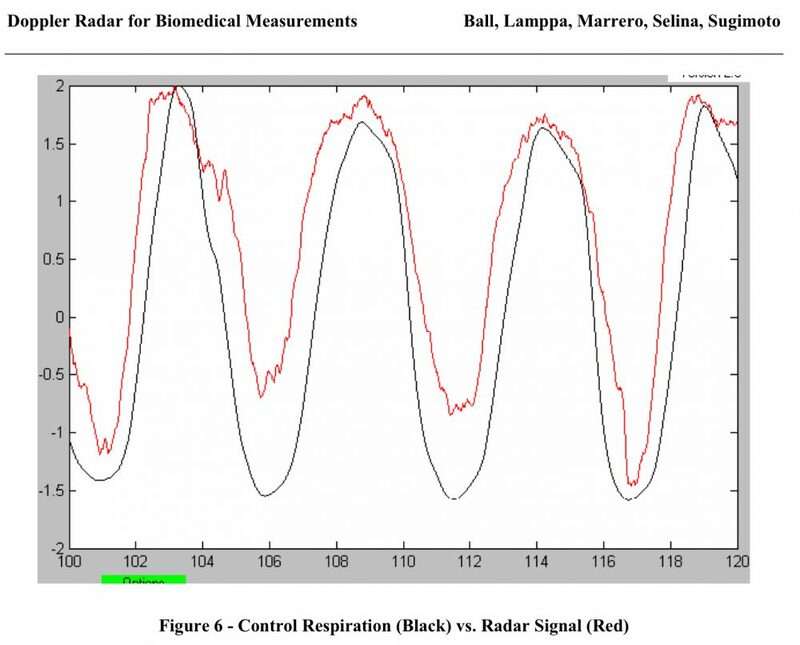 Movement in the signal is also identified in addition to identifying the patient’s respiration rate, heart rate and apnea specific data including apnea episodes per hour and per session. This is done with a Matlab-generated GUI.